These covers easily slip on over bowling shoes, are sized to fit perfectly, and are made with a special interior lining that helps to prevent fabric from tearing. Designed to keep shape not matter how many times they are taken off and put on, these covers are easily stored in any bag. 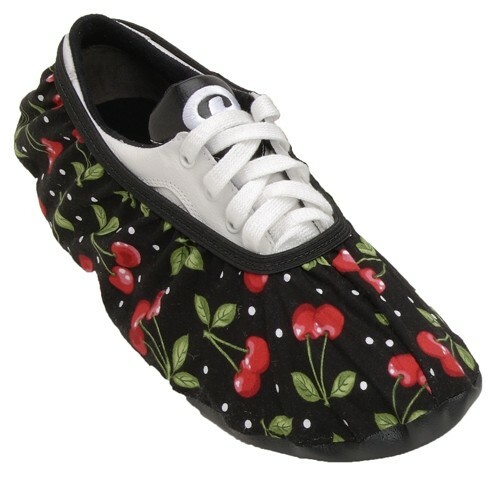 Due to the time it takes to produce the Master Ladies Shoe Covers Cherries ball it will ship in immediately. We cannot ship this ball outside the United States.